The scent of incense, spices, flowers, and fresh oranges blend in exotic fusion, moving on the breeze through the narrow alleyways. The towering blue walls appear to be alive, glowing from within with ripples of blue light. This must be what it feels like to walk underwater. A trio of ginger cats gazes languidly at me from a doorway. I wonder if they can show me the way out of this cerulean maze? 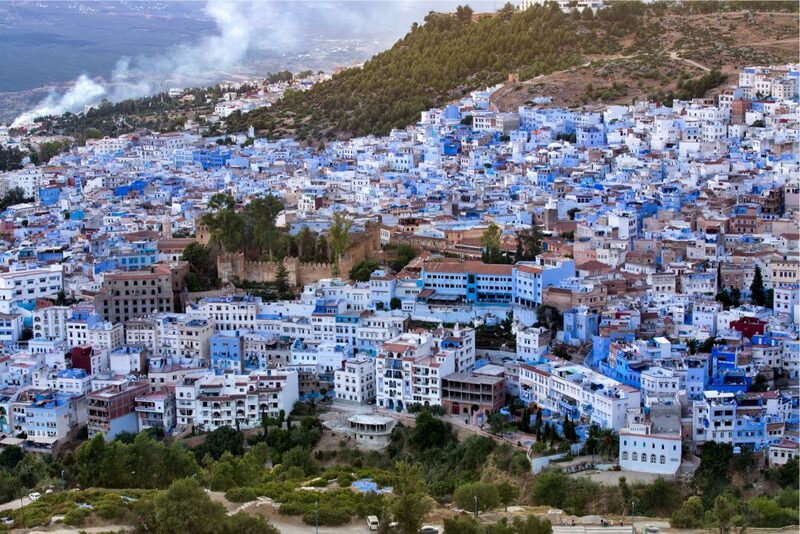 Chefchaouen, nestled against the slopes of the Rif Mountains in Morocco, was founded in 1471 as a fortress city. 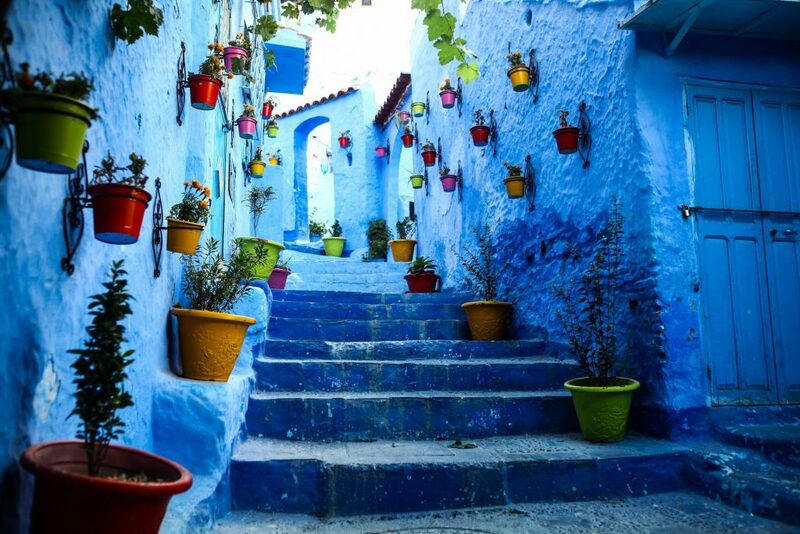 The city has grown beyond its original stony boundaries, but the Medina – or old town – within the walls of Chaouen is where you will find the Instagram-famous sapphire-hued steps and walkways. For a panoramic view of the city, head to the Spanish Mosque – also a great place to watch the sunset – or the rooftop of the shop L’art Maroc. The buildings with their terracotta roofs and blue walls seem to be haphazardly clustered close together, shading the passageways between them. Located about three hours from Tangier, this is not the most easily accessible place in Morocco. There are buses aplenty and an overnight train, but the most comfortable journey is in a private vehicle, preferably with your personal driver. Once you reach the outer city, there’s still the transit into the Medina to consider, so taking a tour is also a fuss-free option. 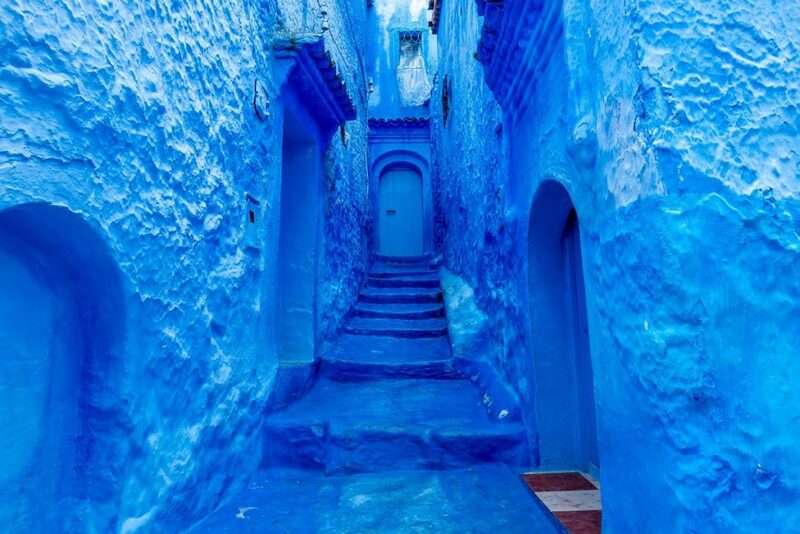 Morocco’s “Blue Pearl” is at its best during springtime (March to May) and autumn (September to November). 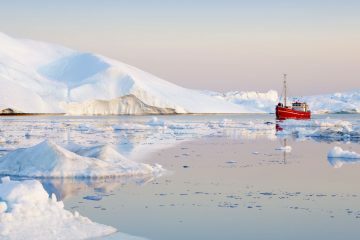 No matter when you visit, bear in mind that it can be rather chilly, particularly at night. 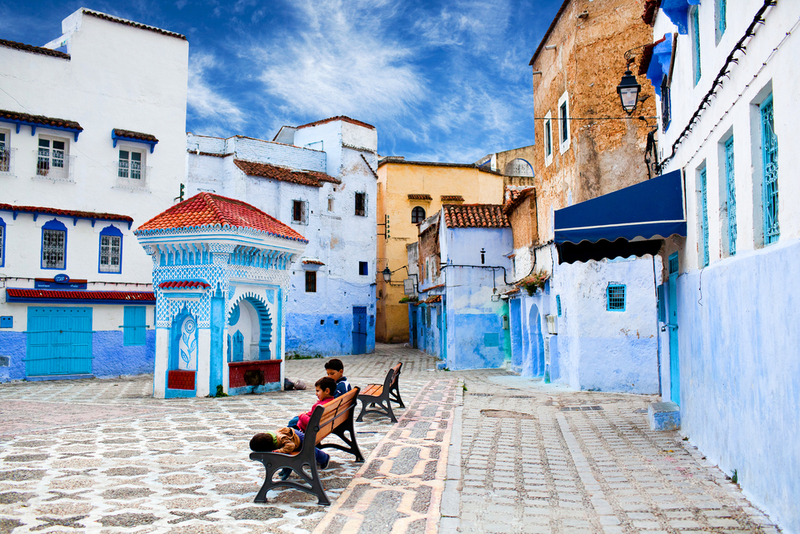 Chefchaouen’s touristy parts offer enough activities for a long weekend, but you can cover all the essentials in a day-trip. Overnight in a traditional Moroccan Riad with bed and breakfast to make the most of the city sights. Search “Luxury Riad” on Airbnb or Bookings.com to find the best places. Dar Elrio, Riad Gharnata, or Lina Ryad & Spa are all recommended if you’d like a bit of pampering. If you’re pressed for time, a meander through the blue streets with your camera in hand is all you need. Look out for ancient intricately carved doorways, and Moroccan tiles. Colorful pots and flowers line many of the narrow alleys. 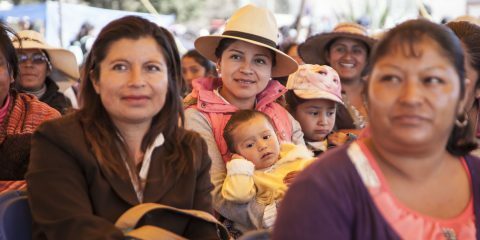 On market days the steps are packed with sellers and their wares: leather goods, wool garments and woven blankets; crafts; woven baskets and jewelry. Chatting with the locals, you will hear Spanish in addition to French and Arabic spoken. For the more energetic, take a hike in the mountains rising above or walk to the small waterfall at the edge of town where residents have traditionally done their laundry. A good scrubbing at a hammam is always a treat. 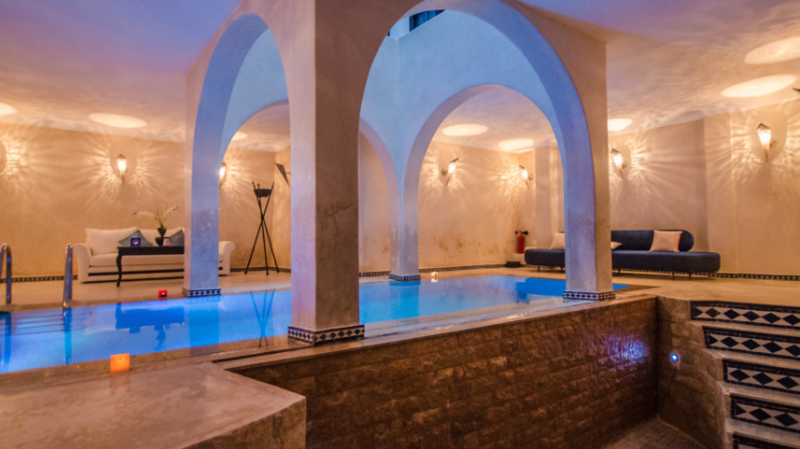 For an authentic Moroccan experience, there are two hammams in the Plaza Uta el-Hammam. The public hammam is open to men and women on different days. 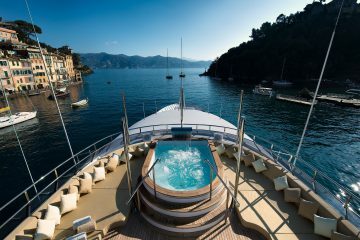 Bring a towel, slippers, and soap. For something more luxurious, although without much of the traditional appeal as the public bath, try Art du bien-être, a more fully equipped spa situated behind the Mosque. 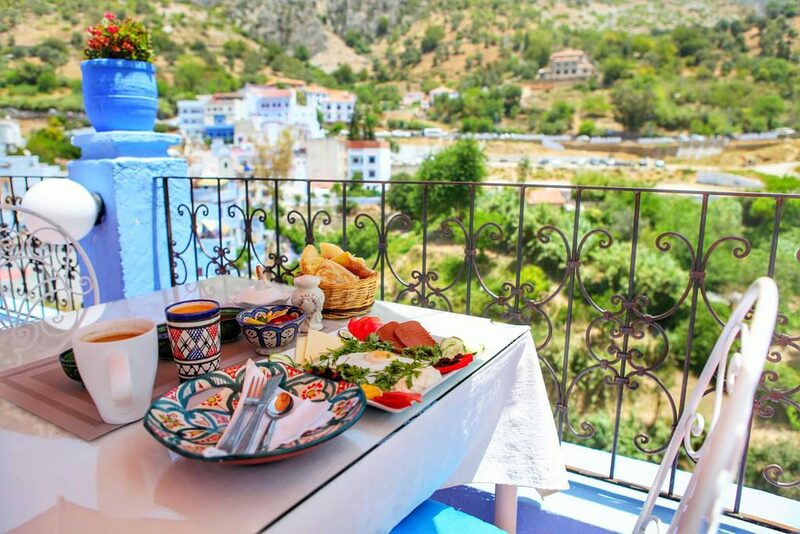 Moroccan food is known for its unique flavours, and dining in Chefchaouen is no different. Highly recommended restaurant Bab Ssour serves traditional Moroccan cuisine created with fresh local ingredients. 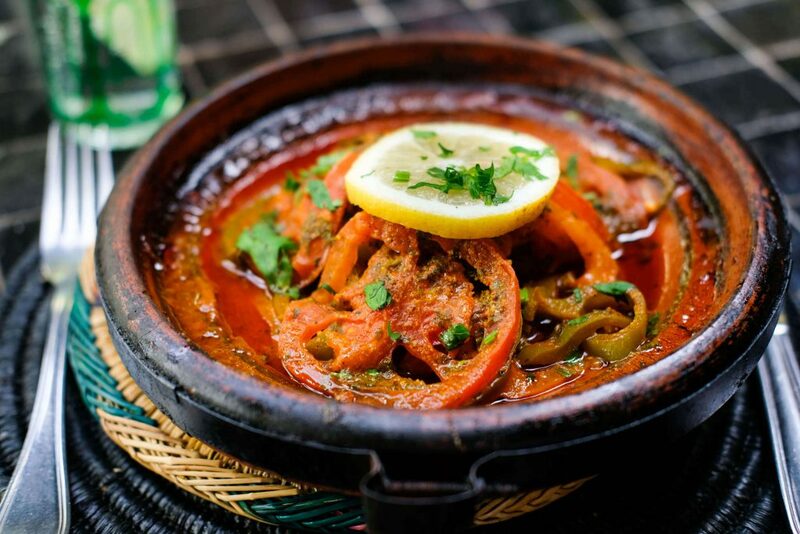 Café Restaurant Sofia is known for Moroccan specialities such as tajine, harira, kofte, and tagras at reasonable prices. While market traders and shop owners expect you to barter with them when purchasing goods, food in Chaouen is cheap, and you should expect to pay the advertised prices. 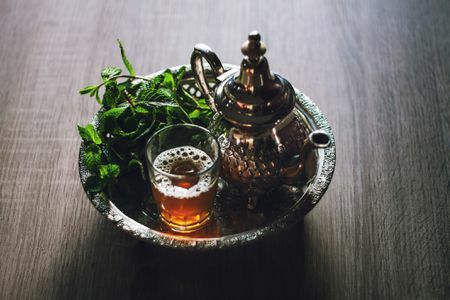 Finish off your meal with a cup of freshly made mint tea. While travelling in Morocco, be sure to respect Islam’s emphasis on modesty. 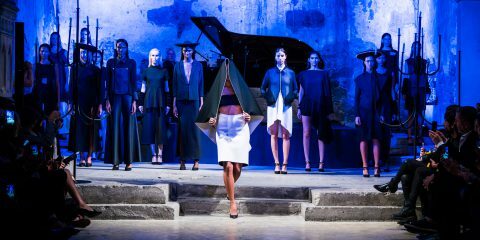 Clothes and accessories should not attract attention or reveal the body unnecessarily. Keep it low-key with your jewellery, handbags, and electronics to blend in and stay safe. For ladies, a loose maxi dress with a light sweater or scarf over the shoulders is ideal for daytime explorations. Men should wear long pants with a collared shirt and closed shoes. 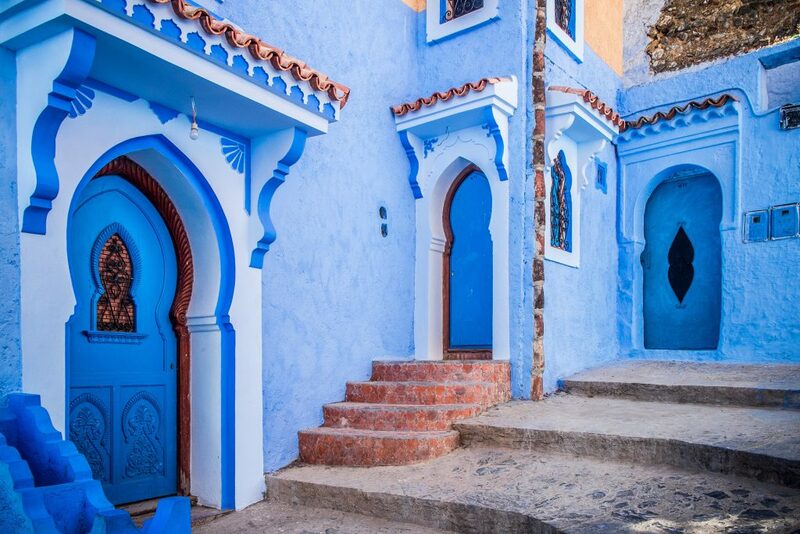 Whichever way you spend your time in Chefchaouen, feeling blue is a good thing – take in the hidden details, search out the historical treasures, and immerse yourself in the culture of this unique Blue City.